WISCONSIN RAPIDS, WI – United Way of South Wood & Adams Counties held its 2018 Annual Meeting last night at River Cities Bank, welcoming new incoming directors and thanking outgoing directors for all their time and hard work. And finally, the board thanked Lynn Knight for her work as 2018 President; and for returning to the slate of officers as Treasurer for 2019. United Way thanks River Cities Bank for hosting the 2018 Annual Meeting. The 2018 Annual Report can be viewed at www.uwswac.org. 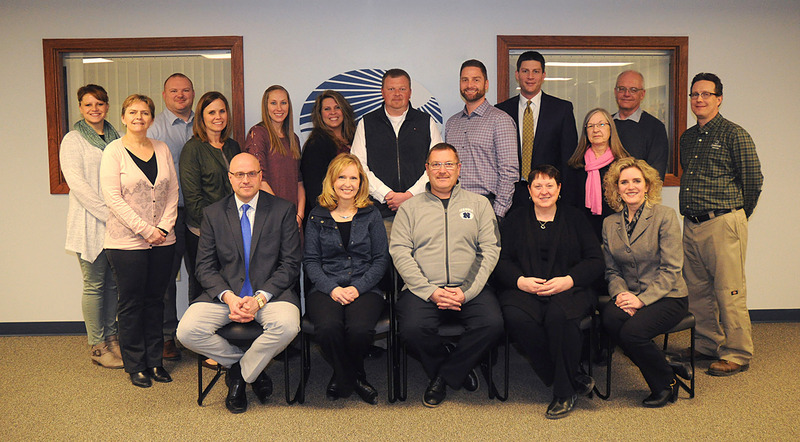 The 2019 United Way of South Wood & Adams Counties Board of Directors. Front row (from left): President Craig Broeren, Vice President Pam Mallek, Secretary Terry Whitmore, Treasurer Lynn Knight, and CEO Tari Jahns. Back row (from left): Shalina Schumer, Lisa Wolf, Matt Colemer, Jessica Fox, Emily Weiler, Nicole Pemble, Keith Wilkes, Chris Spranger, Jason Deitz, Cynthia Henke, Brian Hanson and Marty Burkhardt. Not pictured: Phil Hartley, Andy Kampo, Brian Krzykowski, and Doug Wenzlaff. 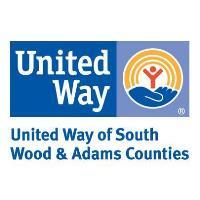 United Way of South Wood & Adams Counties is focused on the building blocks of a better life: Education, Financial Stability, Health and Safety Net Services. We mobilize our community in these areas by: supporting partner programs, community coalitions, and initiatives; providing 2-1-1 and Volunteer Center programs; and creating collaborative partnerships within our community. You can help when you LIVE UNITED: Give, Advocate and Volunteer. To learn more please visit www.uwswac.org.